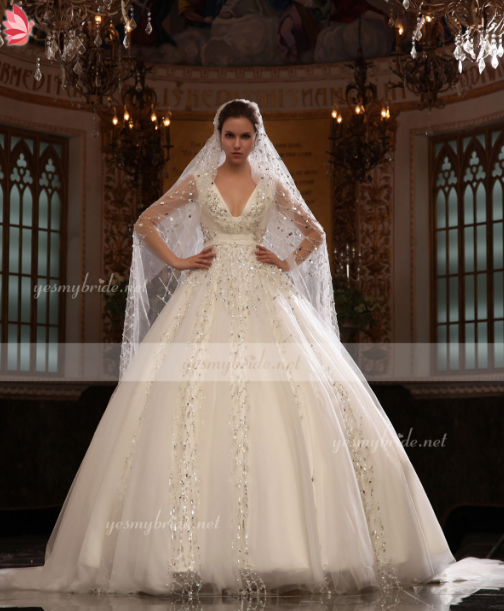 Code 23156 This mermaid lace wedding dress gives a feminine and classical look for you. 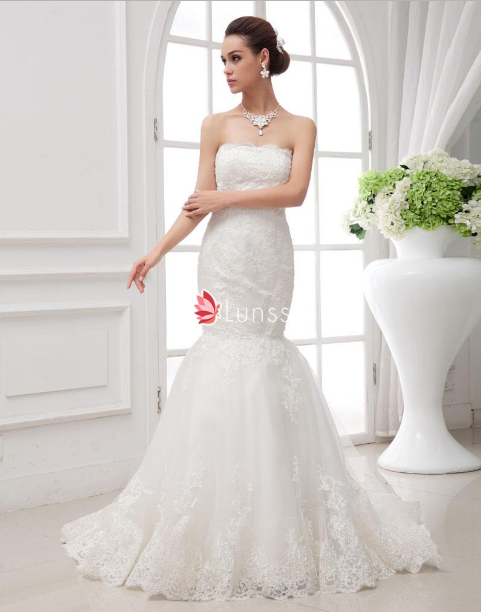 It features straight across neckline with bodice sophisticated decoration. Lavish lace applique trimmed on tulle skirt, back zipper closure and sweep train highly accentuate your figure itself perfectly. Code 1I180 $139.00 Illusion short bridesmaid dress with pearl pink chiffon overlay. Spaghetti straps bodice with boat neckline, asymmetrical chiffon falls elegantly adding whimsical feeling. Code 2I221 This ivory soft tulle wedding dress will realize your princess dream on your Big Day. Off-the-shoulder bodice accented with jewelry trim on ribbon at waist, a-line skirt flows to floor finishing off the look. Code 1F013 $139.00 Daffodil yellow short bridesmaid dress made with big ruffled flowers from the bottom bodice to one side shoulder, knee length skirt will maker your brides lovely and a sense of spirituality. Code 1I176 $189.00 Peach chiffon A-line long bridesmaid dress. Sleeveless pleated bodice offers wide straps and crisscrossed v neck, tiered shirred waist accented with handmade flower, draped long skirt fall to floor.